Sometimes, just looking up in the sky there are such beautiful sights! Today around 4:30 PM, I walked into our living room to close the curtains. 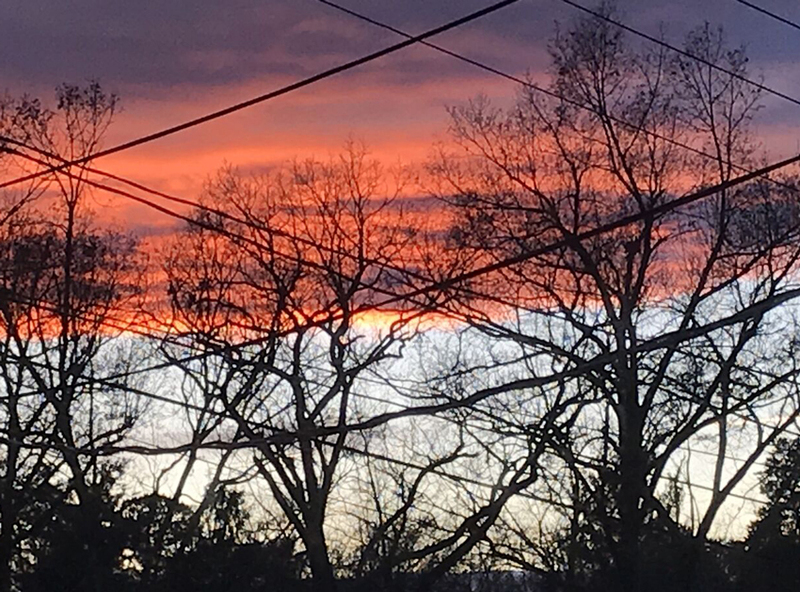 The sky was gorgeous! 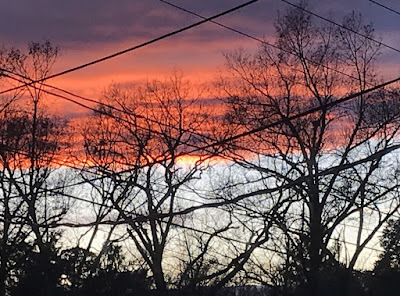 Dark trees and telephone/ electric wires against the colorful late November sky. A beautiful sight! It's like clockwork! Every year! Two days after Thanksgiving I make Turkey a la King for dinner. This delicious dinner is quick. Easy, too. 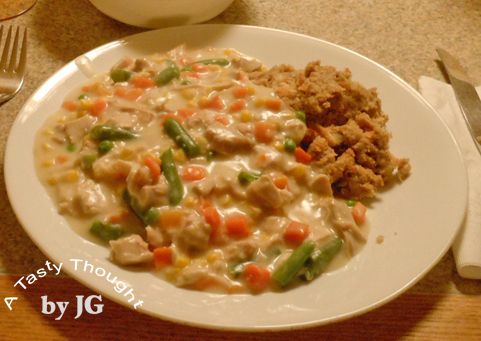 Small chunks of Roasted Turkey surrounded by mixed veggies in a creamy sauce. The sauce is flavored with Parsley and Basil. Oh yum! This is served over toasted bread. Now, how easy is that to prepare?? Sure, one can bake a Turkey Pot Pie, but why deal with a pie crust here? Even if you purchase the pie crust. What can be easier than toasting the needed bread slices to use? Now you know why this is my go to dinner 2 days after Thanksgiving! It's quick and easy! Are you ready to prepare this too? Melt Margarine/ Butter in large skillet/ large pot. Add dried Parsley and dried Basil. If you have enough Roasted Turkey to prepare a double batch, it's a great idea to double the recipe! Any extra portions freeze very well. For another dinner, another night- after defrosting, if frozen- I add a little more Milk to the reheating pot. Stir as it reheats. Whenever I prepare this for dinner, we always have cranberry sauce, too! Sometimes, there may be a little leftover stuffing from Thanksgiving Dinner. It's almost time for me to start dinner, so I need to take out my large pot. The Cape (Cape Cod) in Massachusetts is one of my fave places!! 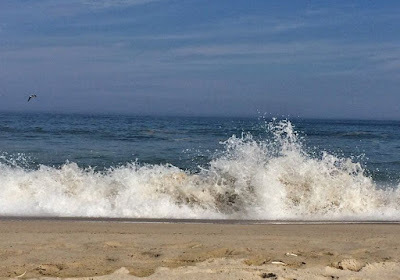 There is nothing like sitting on a beach breathing in the salty air and listening to the waves crashing on the shore. This combination is so peaceful. When we visit, if we are not sitting at the shore watching and listening to the waves, walking along the beach or enjoying a yummy seafood dinner, it is very possible that we are learning a bit more history about this area of our beautiful country. A few years ago (in 2012) I wrote a post: "The Journey of the Pilgrims". 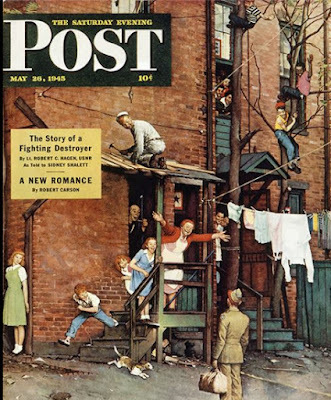 Every year at Thanksgiving I reread it. 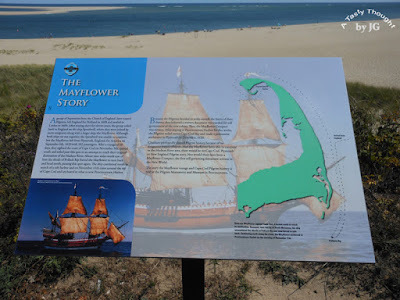 During this time when we are celebrating this holiday, it's interesting to learn a little more and remember the history about the voyage of the Mayflower. During this time at Thanksgiving, click on my post and follow the journey of the brave people who crossed the Atlantic Ocean so many years ago. It's always fascinating!! It's time to bake Butternut Squash Bread! Yes, I did write Butternut, not pumpkin. I do not use pumpkin in the moist, yummy bread that we enjoy on Thanksgiving Day. Well, not only at Thanksgiving, but anytime I bake it! The Butternut Squash that was sitting in a carton in our garage had been prepped to freeze. 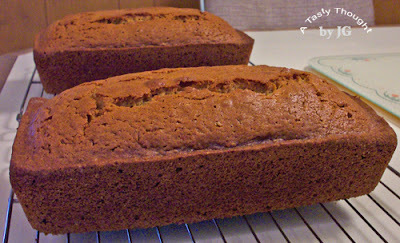 While prepping the squash, I saved out 2 Cups to bake 2 breads the next day. One we enjoyed that week and the other is wrapped and just waiting in our freezer to defrost. I always make 2 breads. I double my recipe. A Butternut Squash Bread is so yummy! Olive Oil for baking and sauteing and Egg Whites make one light tasty bread. With each bite, the flavors of Cinnamon and Nutmeg taste so good. After they cooled, one was wrapped in foil and placed in the freezer to have on Thanksgiving Day. The other? Oh, it was cut into slices and we enjoyed each bite of the moist slices that week! Now, you may not want to bake 2 breads for Thanksgiving, so my recipe below is for 1 bread. Double the recipe for 2 breads. If you have never tasted this treat, bake it and sample it. It is that good! Add mashed Butternut Squash to Egg White/ Olive Oil mixture. Pour liquid mixture into dry ingredients. Stir until combined. Bake at 350°F for 55 Minutes, or until cake tester/ toothpick comes out clean when inserted in middle of loaf. Continue cooling on wire rack. Later, place on a serving dish & cut into slices. It has been quite the temptation every time we open the door to our freezer. However, that Butternut Squash Bread has been saved for Thanksgiving Day! Onto other baking this week! Today, on November 11 we thank all of our Veterans!!! It's voting Tuesday in the United States. Today, I saw a very interesting post from the National Museum of American History! 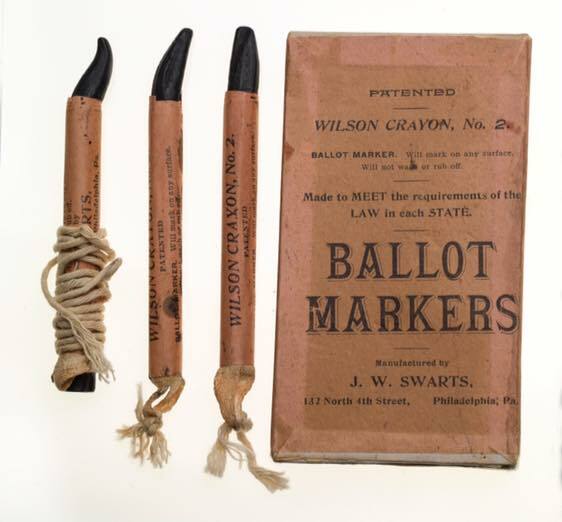 Pictured above are the crayons that voters used 100 years ago to mark their ballots when voting in the United States!